Now here’s some furniture to get the heart racing! Short on space? 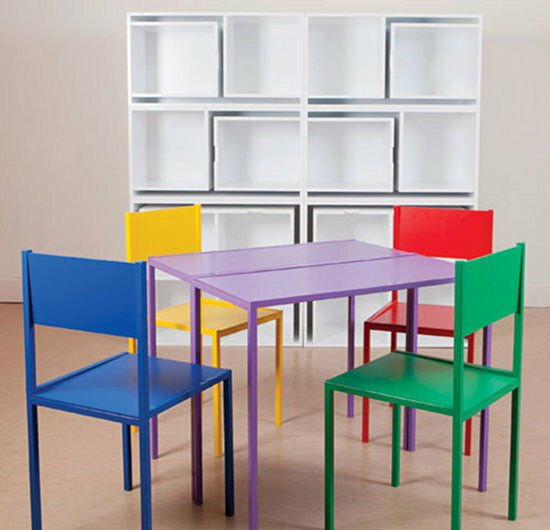 Kids share a room and need multifunctional furniture? Do we have the solution for you. The movement from bookcase to dining is like a scene change. It transforms the space like props on a stage. The dancers can be seen in the chairs and tables. These are made of such strong material that there is an expectation that they are heavy. But they are lightweight. They are streamlined creating an elegant silhouette. The idea is so supremely brilliant; I can see the application of such a design in shared children’s rooms, apartments or spaces where you simply don’t need certain furniture on permanent display. An influx of guests, some kiddy visitors; they all need a place to sit or play and the As If From Nowhere system functions whether the removable pieces are in use or not. 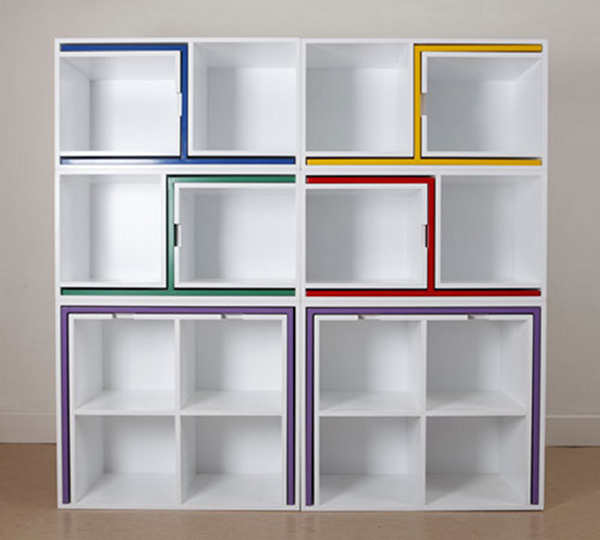 You have a bookcase, two tables and four chairs in one attractive package. The structure itself is modular, with modules of two and four squares, so they can be reconfigured to become bench-style seating whether narrow or wide. There are so many options the mind just boggles! There are no purchasing details yet as Orla Reynolds has just graduated from the Dublin Institute of Technology, but we’ll keep you posted when and if the system becomes available.